As I continually research for more information on Tenkara, my searches online and beyond take me to the community of Italian anglers. Their practice of fishing is wide ranging, enthusiastic as well as aesthetic. In my own research as a bamboo rod maker, the Italians have influenced my technique and interest from afar. My view of Masami Sakakibara in the video “La Valsesiana del Giappone” along with his introduction of Tenkara to Italy is testament to the Tenkara community of anglers there. I am truly interested in Italy and it’s view of Tenkara. Adam: Thank you very much for submitting to this interview. Adam: Thank you. I would like to introduce myself. I am a father of three boys, a husband of SWMBO (She Who Must Be Obeyed), and a cardiovascular professional by trade. At 52 years old, I have been fishing my whole life. I practice other sports besides fishing but it is fishing that has captured my attention without fail. 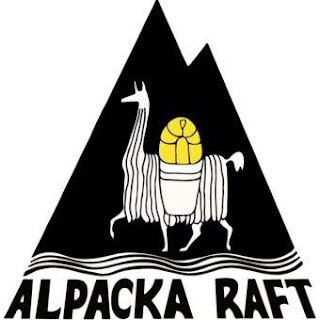 Adam: In all my interests, snowboarding, hang gliding, driving, fishing, in whatever interest I have, I have seen that the community in Italy supports some of the best examples. Ferrari is one of the best carmakers on the planet, Icaro 2000, fashion, mountaineering, snowboarding, Italy is in the house. We are friends on Facebook and I have taken a look at your photographs and read of your travels from afar. It appears that we have a few things in common. I have always been interested with fly-fishing in other cultures. So for many years, I have reviewed the Italians presentation of fly-fishing via the Internet and must say that I am a bit intimidated. People from Italy know so much about fly-fishing. Everything that I have seen and read via the Internet (from Italy) has been so informative and aesthetically pleasing. Making my own bamboo fly rods, I found that again the Italians were far ahead of the design of a “bamboo ferrule” I learned the technique from the sharing of information with the Italians. Making a bamboo rod connection point using as few parts as possible and to make it so beautiful and above all, to share the technique so freely. In this observation, I am thinking of a very positive fishing community that is progressive. Uberto: Certainly. Like many anglers my passion for fly-fishing started after reading the book “A river runs through it” by Norman McLean. I was 11 years old and I remember that immediately after finishing the book I asked my father if he knew some place where to learn fly casting technique. Fortunately there was a fly fishing association near my house. I learned there the basics of casting dry flies. At 19 one of the most important moment of my life, I got my driving license!! This meant freedom! With my car I went fishing every week-end and I was finally able to reach Milan and enroll in a fly fishing competitor club called “Dragon fly” I met there many fishermen who would soon become good friends and very important people in my life. And especially Edgardo Donà, a skilled and experienced fly-angler, winner of numerous competitions. I became one of his students and he taught me the “secrets” of fly-fishing with nymph and wet flies. I must say that my vision of fly-fishing radically changed from that moment. Adam: I see that you have been involved with a championship in Italy. Uberto: Yes, I remember like it was yesterday. It was in September 2010. The Italian youth fly fishing championship finals on the river Roya near the city of Ventimiglia. I think is one of the most beautiful and most technical river to fish I’ve ever seen. Trouts who live in this river are wild, big and hard to catch because the water is crystal clear and the valley is really deep and narrow so it’s really difficult to approach the water without being spotted by the fishes. The championship last 2 days. The first day I didn’t catch any fish (I just saw a really beautiful girl sunbathing completely naked in my box!!) and the best score was made by a guy who catches just one fish. The situation was really complicated for everybody. I was a little bit depressed but I was determined to do my best in the second round. And the second day went better. I caught two nice brown trout (around 40cm each) while the other anglers went blank. I made the best score among the two days and I became the 2010 Italian fly-fishing champion. I was overjoyed because I receive the blue shirt with the Italian flag. In Italian sports it’s the symbol of the champions. However, the most beautiful thing in competitions is that whatever the result is, we make big party at the club drinking and eating all together (especially if the result is positive). Also, being in a fly fishing club really helps you to improve fishing and social skills. I will recommend to everybody to enter a club and especially to do competition. I looked at some of the images from the competition. There seems to be such a great camaraderie. 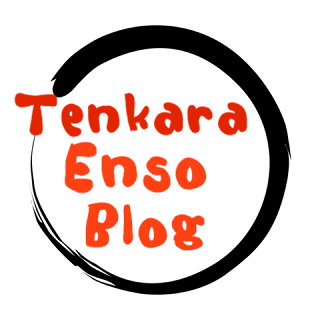 Uberto: First time I heard about Tenkara was in Sanpei cartoon. I was really surprised that there was a traditional way of fly-fishing in Japan. I was interested but it was like 7 years ago and in that moment I was more focused on fly-fishing to think seriously about it. 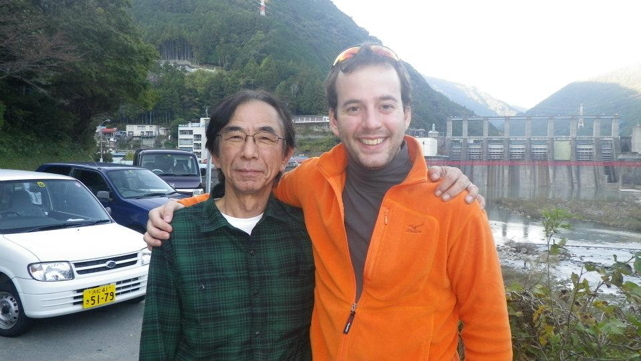 In 2011 a Japanese Architect who live in Milan, Mr. Ryuta Okano, started speaking about Tenkara in a fly-fishing forum. From that moment I started searching for information. In the same time I was programming my first 3 months trip to Japan and for this reason I also start thinking on learning the original technique from the Japanese masters. I organized a meeting with Mr. Okano. That day I learned the basics of Tenkara for the first time, I became friend with Ryuta and I also heard for the first time the name of Masami Sakakibara. Adam: I learned about Tenkara from Daniel Galhardo. His introduction was about as good as I could see that anyone could do it. I am indebted to him for helping me understand this way of fishing. I researched the history of it myself learning about the people that Daniel has taken with him on the journey. So many years ago, I learned about the Japanese aesthetic from visiting Japan myself. Although I was in the Army, in the evenings, I was allowed to travel around on my own. Uberto: Sure, I went in Japan for the first time in 2011. I started studying Japanese and I spent a lot of time sightseeing and exploring this beautiful country. I also met for the first time Masami Sakakibara and his lovely wife Coco. 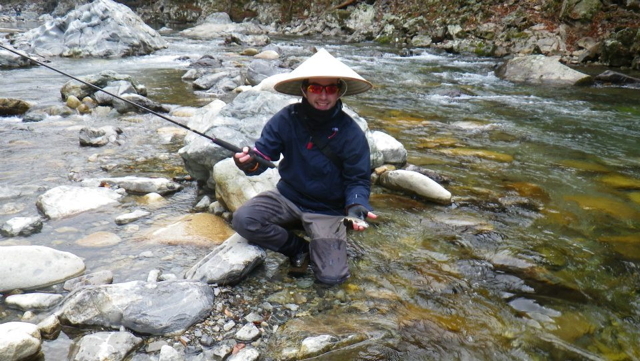 On a sunny day in mid-November Masami invited me to his mountain hut on the Touyama river (Nagano prefecture) and he introduced me to his world and Tenkara style. Such a great experience. I’m proud to say that this was the first real cultural exchange of European fly-fishing knowledge (especially Italy) and traditional Japanese fly-fishing. We learned a lot one from each other (I probably learned more than him) and I became his first “non-Japanese” Tenkara student. I was really impressed by Masami fishing skills and respect for nature. People here call him “Tenkara no Oni” that means “Tenkara devil” or “spirit”. I think he really deserves those names. His behavior changes completely while on the river and he looks more like a wild and instinctive animal rather than a man. He merges completely with the environment. From that moment I realized that to become a better fisherman I should follow his path. I wanted to be like him. A simple, humble fisherman, which draws from the merge with nature a true and deep source of pleasure. And who knows how to be, at the appropriate moment, a lethal trout stalker. I am really honored to be one of his students. Adam: It appears that Japan is very good to you. I am visiting Japan in June of this year fishing the central mountains around Gokayama and Matsumoto. I have a friend that is taking me around the first week and the second week I will be on my own in and around Tokyo. Uberto: Actually American market is well served with Tenkara products. It’s not so difficult for you (Americans) to get Japanese rods. Vice versa for Europeans it’s really hard. And due to the simplicity of the technique there are not a lot of products to source. I will recommend anyway Japanese rods because they are light, high performance and high quality carbon rods. Especially the Level lines rods that are the best solution for precise and delicate casting. However, due to the difficulty of getting spare parts from Japan (especially in Europe) I will recommend those rods only to expert and skilled Tenkara fishermen. Adam: I’ve been writing about how people should investigate the premium equipment that Japan has developed prior to the introduction of Tenkara to America. But as I move forward with Tenkara, season after season, I see people buying and buying premium rods and equipment, buying and selling. I believe that this commercialism is not what Tenkara is all about so I I’ve purposefully kept my quiver small. It does a couple of things, it forces me to learn the ins and outs of a rod and it promotes building a quiver of rods that ranges everything from a tight mountain valley stream down to the mainstream. Uberto: My favorite rod is the “Oni” rod. The rod designed by my master Masami Sakakibara. It’s a light, well balanced and very soft rod. It’s 4m long and the action is 6:4 It’s perfect for medium and small mountain streams. The long size gave me a perfect control of the fly and just using level lines of different lengths I can face nearly all-fishing situations. This rod is suitable for small – medium sized fish but we also caught a 3kg carp. So generally I’m not so worried about oversized fishes. It’s not a rod for beginners. Casting correctly with this rod is quite difficult and requires a lot of practice. Adam: I have seen a rod that has sort of a cord handle, can you tell us about it? Uberto: The rod with the cord handle is an experiment of a friend. In Italy it’s really difficult to buy Japanese Tenkara rods so Italian fishermen try to make their own rods. Generally assembling pieces of various fixed line rods. Adam: I patiently await my Oni rod (a rod is on order from Masami Sakakibara.) Another aspect of my quiver is to own rods by Tenkara Masters. I want to know what they want in a rod. Casting fly, I’ve found that rods have a personality and sometimes rod to rod of the same make and model will have personality differences. I want to capitalize on the rods dynamic so I use rods by Tenkara Masters to purposefully know what it is to have and behold in my quiver of skills for that rod. Uberto: It’s an interesting point of view. 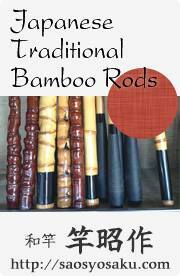 Making comparisons between rods it’s very important to find the rod that suits you the best. Here in japan I use to enter fishing shops and try all the rods (Tenkara and keiryu) to find interesting products and to understand more about the different actions. It’s important not to focus just on one product or brand. Adam: Can you tell me at how you look at fly choices? Do you practice minimalism (one fly) or do you match the hatch? What fly do you use when you pick you are using a Tenkara rod? Uberto: Definitely minimalism. Not just one fly but also maybe 4-5 (1 favorite type per season). I don’t think that having thousand of flies will give you more chances of catching a fish. Also in competition I use really few patterns. Using a Tenkara rod my favorite flies are the Valsesiana type (both dries and wet). Simple and lethal flies made just with a soft feather and pure silk. I also use the Klinkhammer. I think it’s the best dry fly ever created for mountain stream’s trouts. Adam: Uberto, here in America, there seems to be a an argument of “what is Tenkara?” Some say it is “Mountain Stream fixed line fly fishing” others tack on “with a fly that is not weighted” while others say that anything is Tenkara that uses a flexible rod to cast a fixed line. 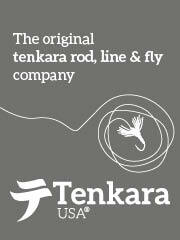 Tenkara seems to be intertwined with a philosophy as well. I think it is simpler than what we make it. It seems that people don’t really know what Tenkara is, that they search for acceptance from their peers with their version of Tenkara. Personally, I use a Tenkara rod of Japanese design, a level line for everything up to the headwaters where I use a shorter 7:3 faster action rod with a tapered line. I use one fly pattern, different sizes and maybe a little different thread but pretty much the same sort of fly in all Tenkara. No weight, no indicator, just a rod, line and fly. Uberto: Tenkara community in Italy is growing day by day. People are really attracted by the simplicity and effectiveness of this technique. 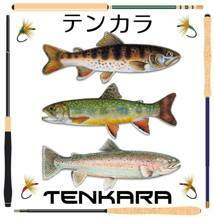 We have a very active Facebook group and people searching for information on Tenkara can find a lot of answers to their questions there. My purpose since I founded the group was to spread around Italy and Europe this beautiful way of fishing. Uberto: Yes, a little. But generally the discussion is simply over “weighted/non weighted flies”. I think that Tenkara technique give his best with non-weighted flies and It’s the ideal technique for mountain streams and for medium sized fishes. If you want to fish big rivers and big fishes it’s better to use a fly rod or a spinning rod. However, sometimes bad river conditions (no fish activity) force fishermen to put weighted flies to catch at least one or two fish. Personally, if I can’t see fish activity I will definitely use a light weighted nymph rather than waiting for a hatch. You can call it Tenkara or not but the truth is that it’s just an adaptation to the situation. Japanese Tenkara rods are not built to cast heavy weighted flies. With a weighted fly the cast is un-natural and the presentation is not delicate. And last but not least rods can broke easily. Uberto: People sometimes think that Tenkara is just a simple way to get fishes without effort. Tenkara is more than a simple way to get fishes. To cast effectively long level lines you really have to be skilled. And when you are using short one (lines) is even more complicated because you have to think of every single step, every single move to make to get closer to the fish without being seen or heard. Before you cast you need to check that there are no branches or stones that may hit your rod. And often to catch the fish you have just one or two shots. So you have to be very precise. We're not talking about stupid farmed fish. We are talking about wild fish that hide at the first sound or suspicious movement. It 's also always good to remember that it is thanks to Mother Nature that we can fish. So we have to thank her and be very respectful. We must always treat with great care all the creatures that surround us on the river. Small and big. And remember that Tenkara, before fishing, means observation and understanding of the river. Tenkara it’s after all the beginning of a spiritual meeting that has as a final result the fusion with nature. Adam: It is great to be able to share some time with you in talking about Tenkara. When Masami Sakakibara suggested that I approach you with an interview, it was not hard to take his suggestion. Thank you very much for sharing some time with us here at Tenkara-Fisher. Uberto: “Keep it simple” that’s the Tenkara motto I want to share with you. That’s all. Thanks to all of you for reading and especially to you Adam. I hope to meet you soon to go fishing together.